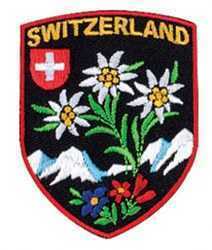 Alpine Flower ribbon. 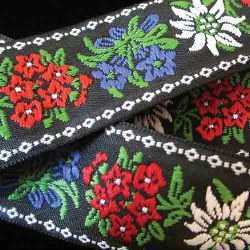 Ribbon measures 1-5/8” wide. It is sold by the yard! 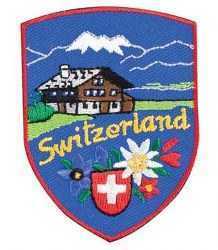 Colorful embroidered Switzerland patch about 2.75" high. 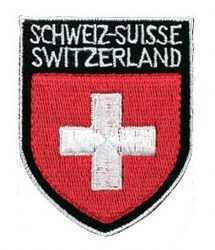 Colorful embriodered Switzerland patch about 2.75" high. 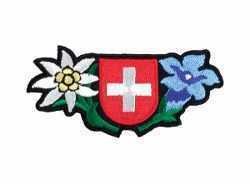 Embroidered Swiss Patch with Swiss Shield and Alpin Flowers about 3"w x 1"h.
Embriodered round Swiss Cross patche approx. 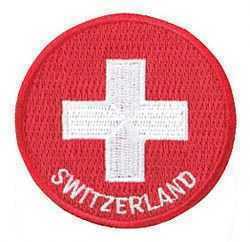 2.75” in diameter.